Lt. Gov. 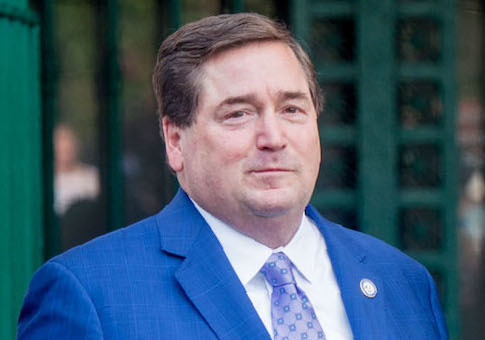 Billy Nungesser’s office is in talks with about 15 potential partners who want to set up businesses at Louisiana state parks, Nungesser said Monday. The potential public-private partnerships could benefit the entrepreneurs while creating more revenue to support the parks system, he said, though the enabling law may need to be tweaked. "I really believe that through these private-public partnerships that we will see a day where we won’t need tax dollars to keep up our state parks, our historical sites, or our museums," Nungesser told the Press Club of Baton Rouge. As an example of what might be possible, Nungesser mentioned a resort and conference center at a state park in West Virginia that he said created more than $50 million in public revenue in a little over six years. He said his office is studying the feasibility of doing something similar on 500 state-owned acres next to Lake Pontchartrain. A horseback-riding operation already has moved into Bogue Chitto State Park in Washington Parish, he said. Future partners might include developers who would be willing to build additional cabins for park visitors and share 20 percent of the revenue with the state. Lawmakers in 2017 created the Louisiana Culture, Recreation and Tourism Foundation. The law allows for leases, subleases, concession leases, and naming rights related to any immovable property under the supervision of the Department of Culture, Recreation and Tourism, which Nungesser's office oversees. Nungesser said he has been told language needs to be added to the law before he would be able to move forward on some projects, such as the large resort. He said he wasn’t sure what needed to change, but said he expected to discuss the issues with Commissioner of Administration Jay Dardenne later in the day. When he considers potential partners, Nungesser said he would work with local officials to ensure the partnerships would not harm existing local businesses. As the state’s top tourism official, Nungesser said he is expanding outreach to international visitors. He said new direct flights to New Orleans from the United Kingdom and Germany could boost tourism. In September, Nungesser led a delegation of state and local tourism officials on a visit to China to promote Louisiana attractions, in particular the "Lights. Camera. Louisiana" film trail. Chinese tour operators visited Louisiana in October. "[Chinese visitors] love to go where movies were shot, and of course where people were shot like Bonnie and Clyde," he said. Louisiana experienced a 37 percent increase in international visitors in 2017, Nungesser said. Foreign visitors tend to stay longer and spend more than domestic ones, he said.